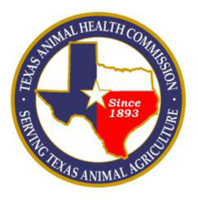 (Austin, Texas - Tuesday, August 9, 2016) - The Texas Animal Health Commission (TAHC) is proud to announce Dr. Susan Rollo has been named Texas' State Epidemiologist. Dr. Rollo attended Texas Tech University for her Bachelor of Science and Master of Science degrees in zoology and biology, respectively. She then attended Texas A&M University, where she received a Doctor of Veterinary Medicine, and later a PhD in biomedical science (epidemiology). She began her professional career in a companion animal practice before accepting a job as an epidemiologist for the Beaumont Public Health Department. While working on her PhD, she worked for Texas A&M College of Veterinary Medicine as program coordinator and research associate for the Masters of Veterinary Public Health program. In 2010, Dr. Rollo accepted a position at the Department of State Health Services in Houston, where she served as the Zoonosis Control Veterinarian. On September 8, 2014, Dr. Rollo was chosen for a field epidemiologist position for the TAHC. In January 2016, when Dr. Schwartz was asked to serve as Interim Executive Director, Dr. Rollo stepped up to perform many of the duties of the State Epidemiologist while continuing to perform duties as a field epidemiologist. Dr. Rollo will continue to perform a dual role until the field epidemiologist position can be filled. Dr. Rollo and her husband, Robert, currently reside in Katy, Texas. They have three children; Isaac, Isabel and Joshua.